Executive Director of the Scientific Research Council (SRC), Dr. Cliff Riley, speaks at a JIS ‘Think Tank’ on September 6. He highlighted that application for the Caribbean Climate Innovation Centre (CCIC) Accelerator Programme closes on September 9. Application for the Caribbean Climate Innovation Center’s (CCIC) Accelerator Programme will close on September 9. Executive Director of the Scientific Research Council (SRC), Dr. Cliff Riley, speaking at a JIS ‘Think Tank’ on September 6, said the objectives of the programme are to enable the building of an ecosystem of ‘clean energy’ in the Caribbean, to promote mentorship and help to promote economic development and job creation through clean technology. He is encouraging entrepreneurs to become a part of the programme. 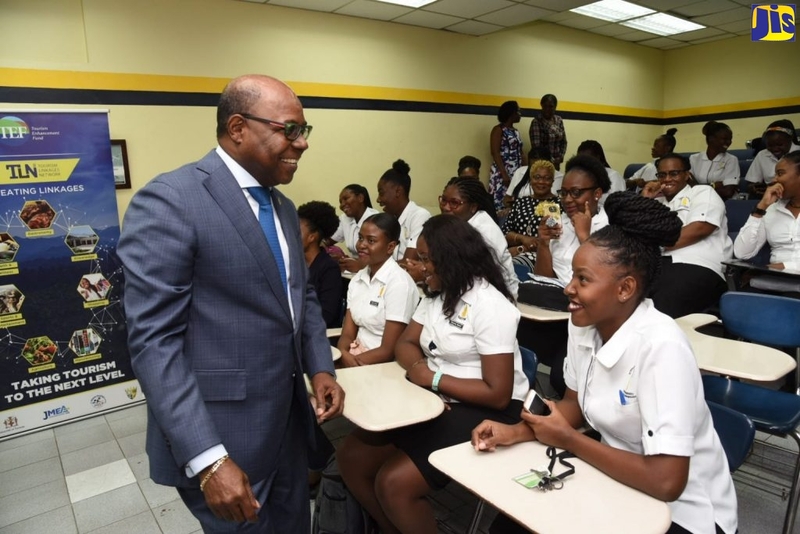 “There are many opportunities here in Jamaica and in the region to support entrepreneurship and innovation and we want our people to fully capitalise on these opportunities,” he said. The six-month programme, which offers mentorship, guidance as well as resources to entrepreneurs in the field of ‘clean energy’, seeks to promote climate change mitigation. Through the programme, companies involved in the areas of energy efficiency; sustainable agriculture; renewable energy; waste-water management and resource-use efficiency, are given the opportunity to network as well as assistance in developing and bringing their product to market. “Several entrepreneurs were never trained in [entrepreneurial skills], how to put your business together, how to present that idea or how to pitch that idea to secure financing. Therefore, this is where the CCIC comes in,” Dr. Riley said. Meanwhile, Marketing Officer at the CCIC, Cashyaka McDonald, said that companies will get access to a plethora of mentors from various industries, who will guide them in steps to take in improving their clean-energy business. They will also get access to grant funding through the CCIC. Companies wanting to participate should be between the ‘proof of concept’ and ‘seed’ phases of the innovation process. To register for the accelerator programme, persons may go to www.caribbeancic.org/launchit. The Accelerator Programme is undertaken by the CCIC to develop the clean technology ecosystem of the Caribbean. It is a three-year funded project being operated with a grant of US$1.5 million from the World Bank.